For American golf fans, the Ryder Cup is a beloved event. For European fans? A religion. Last year in GOLF, I wrote a cheeky obit for the Cup, forecasting that the young, long-hitting, cohesive American team that won in 2016 would, for years to come, thoroughly dominate the aging Euro squad. Euro fans were so outraged you’d have thought I’d insulted the Queen Mum. I’ve been taking intense Twitter flak ever since, led by @TweeterAlliss, the spoof account that channels the jovial vibe of longtime BBC announcer Peter Alliss. Recently, I engaged Tweeter in a wee little chat. It was...spiffing. Alan Shipnuck (@AlanShipnuck): Why is the Ryder Cup so important to the European golf community? Tweeter Alliss (@TweeterAlliss): It reminds you chaps over in the USA the natural order of things. You were once our colonies before you all got ahead of yourselves and decided to become revolutionaries and fight for your independence. A right good thrashing every two years puts you back in your box and makes you mobilise your revolutionary tendencies, like young Phil did in 2014, when he threw dear Tom Watson under a bus. Remarkable. Given that you guys have dominated the Cup for the last two decades, why are European fans still so touchy and defensive? I think the touchy and defensive demeanour may have manifested itself during the 2016 renewal. 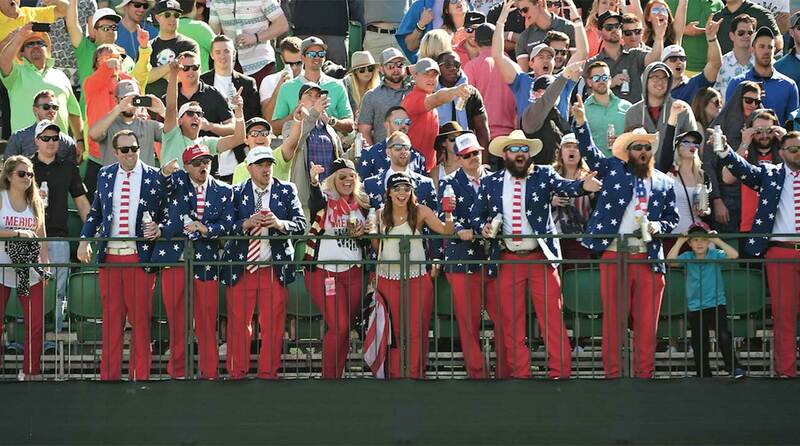 Some rather cynical tactics were employed by the US team — for one, importing the entire crowd from the 16th hole at the Waste Management tournament was a most disgusting stunt. One cannot wait until Bethpage in 2024, when I believe the entire U.S. crowd will be treated to a free bar and invited to run naked through the fairways screaming “Baba-booey.” Quite lovely. The 16th hole at the Waste Management Phoenix Open is unlike any other on Tour. The column that I wrote that sent your entire continent into hysterics is based on an undeniable truth: The U.S. has a long-term advantage because its core players are in their 20s (Spieth, Reed, Thomas, Fowler, Koepka), while the bedrock Europeans (McIlroy, Rose, Stenson, Garcia, Poulter) have an average age of 37.8. Why such an overreaction to my evidence-based analysis? When you say hysterics, I gather you mean hysterics of laughter? The 20-somethings you mention have not been rather successful on their trips to European shores. It seems to me that the U.S. players seem to run out of puff come the final day of a European event. I believe you chaps say “Puked.” Not to worry, we’ll ensure that all U.S. players are provided with plenty of sick bags for the final-day singles. Splendid. When I wrote that column a year ago it wasn’t clear if Tiger Woods would ever play golf again, and Phil Mickelson was in the midst of a multiyear victory drought. Now both are in fine form and will be forces for the U.S. team. How worried are the Europeans about these resurgent Hall of Famers? Young Tiger has made a tremendous return. I’m not sure you can include dear Phil in the same bracket, but if he were to be included one is very much looking forward to the many rules violations he incurs. Delightful. Americans have won six of the last seven major championships. How worrisome is this for Team Europe? Well, one did hold off answering until young Molinari captured The Open Championship, playing the most delightful golf at the weekend. The Italian confirmed his status as the best ballstriker in world golf. He also has a fine record at Le Golf National, runner up on three occasions. Spiffing. Four of the top players in Europe’s points standings are Jon Rahm, Tommy Fleetwood, Alex Noren and Tyrrell Hatton. Combined Ryder Cup appearances: zero. Surely this is cause for alarm? Cause for alarm? Cause for excitement, dear Alan. You are talking about Jon Rahm, 23 years old, ranked 7th in the world, with a raw ability like no other player in the game. I look forward to seeing dear Jon put Pat Reed in his pocket. Young Fleetwood and Noren, both victorious in Le Golf National in 2017 and 2018 respectively — I doubt you’re aware of that, m’lad, as it is a European Tour event, not like your precious PGA Tour. As for young Hatton, the Ryder Cup will be the making of him, by Jove. 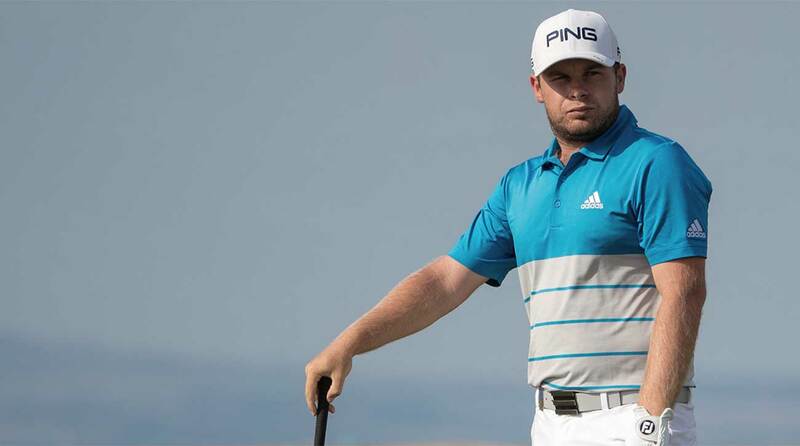 Tyrrell Hatton is among the rookies on the European squad. Which is the more nightmarish scenario for you personally: Patrick Reed holing the winning putt or Bubba Watson holing the winning putt? One would be surprised if dear Bubba stayed past Friday. He’s not a fan of Paris, or maybe not a fan of culture. There is a lot of talk that Le Golf National will be presented with narrow fairways and penal rough to try to neutralize the big-hitting Americans. Should the playing field be neutral? Is it unfair to trick up the golf course? Surely the Americans will be right at home with a tricked-up course, especially after the USGA converted Shinnecock Hills into a course resembling an amusement one would see at a funfair. Lovely. For decades, Seve’s fist-pump was the iconic image of the European team. Which is the better successor: Hatton tapping down imaginary spike marks after he misses a putt or Rahm staring at the heavens in disbelief after he misses a putt? Dear Seve, what an inspiration he was for European golf. Along with Tony Jacklin, they reinvented the Ryder Cup and installed Europe as the dominating force for the last thirty years. So much so, the U.S. founded the Presidents Cup to ensure some silverware for their trophy cabinet. Majestic. On a scale of 1-10, how obnoxious are Ian Poulter’s on-course histrionics? It has to be 10, dear Alan — that’s if you’re referring to young Poulter’s historic histrionics at Medinah in 2012, when he started the fire that gave Europe the most unlikely of wins in the history of the Ryder Cup. He continued his histrionics into the final-day singles, with a commanding victory over Bubba’s fellow Christian, young Simpson. Divine.